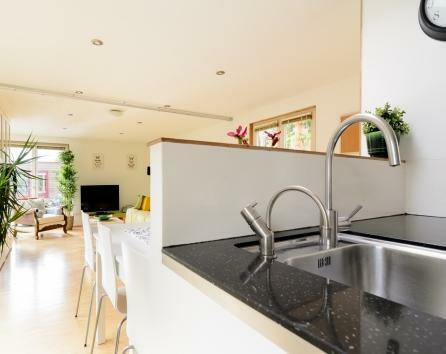 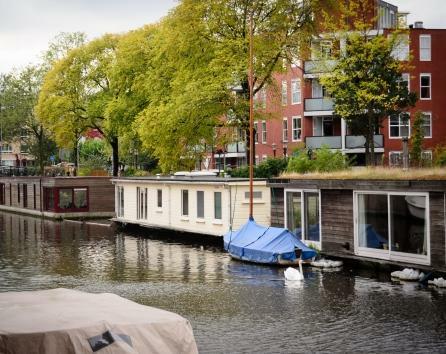 Beautiful, spacious, modern and bright houseboat docked on a quiet canal. 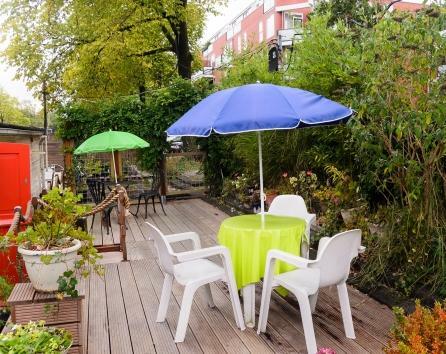 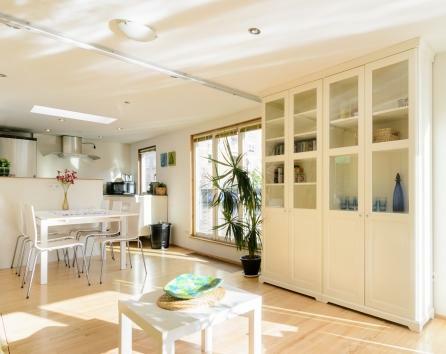 Featuring a big, private sun deck in one of Amsterdam's nicest neighborhoods. 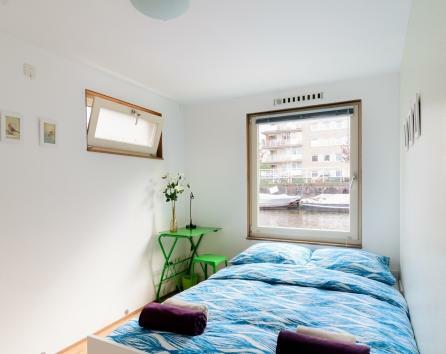 This is your opportunity to stay in a traditional Amsterdam Houseboat. 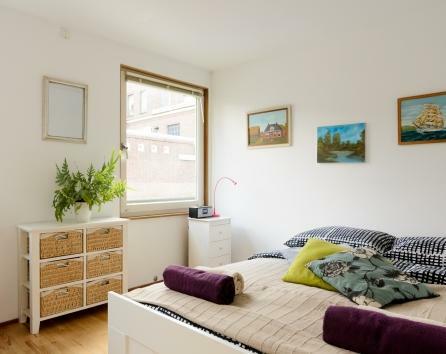 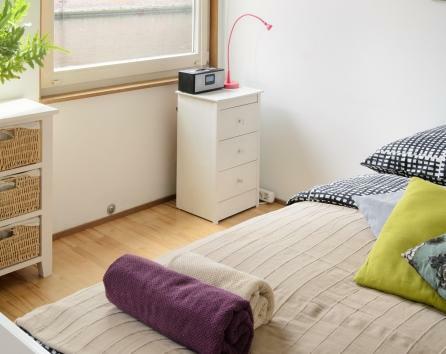 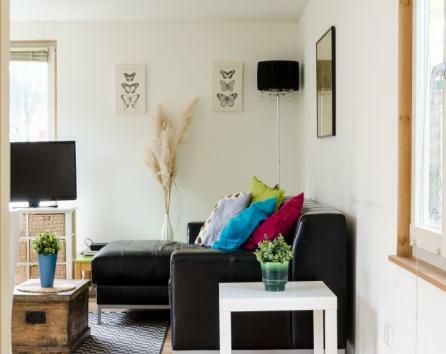 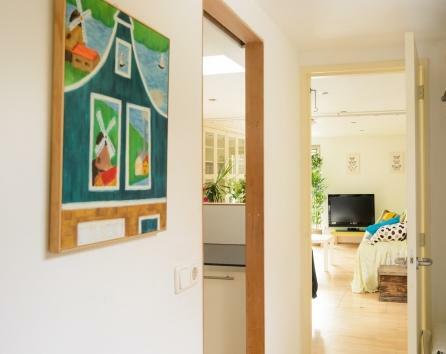 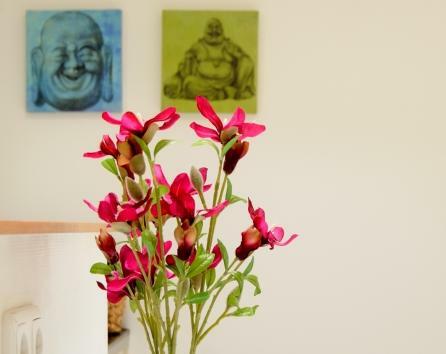 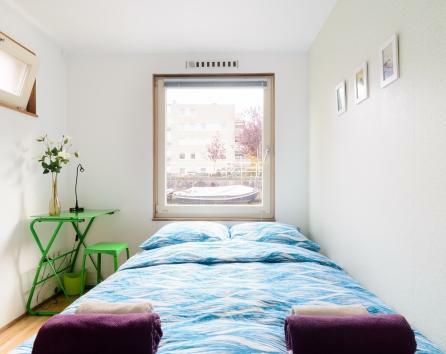 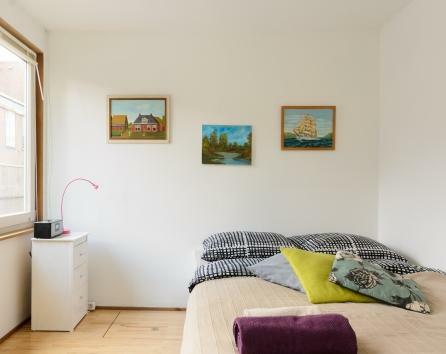 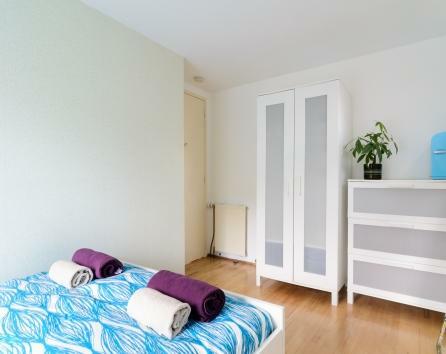 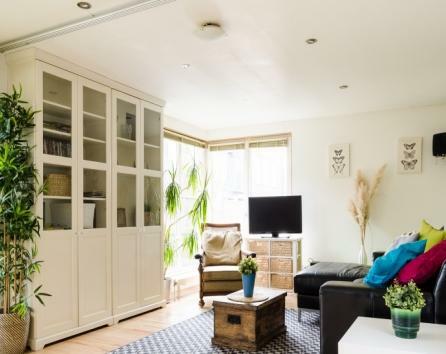 The apartment is located on a peaceful canal in the Oud West area of the city but just a few minutes walk from the bustling Kinkerstraat shopping street and less than 20 minutes walk from the well known Jordaan District famous for its quaint cafes and trendy boutiques. 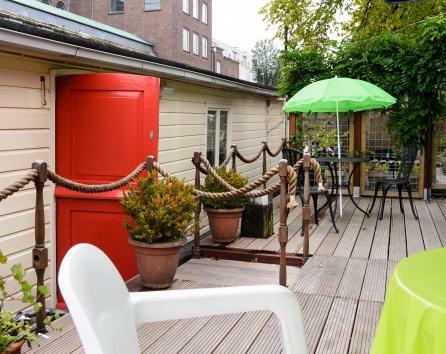 Nightlife centre Leidseplein is also reachable in 20 minutes on foot and Amsterdam’s Vondel Park is a short stroll away. 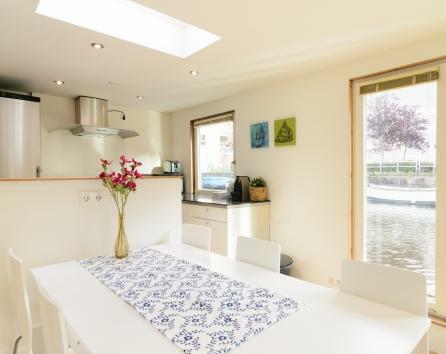 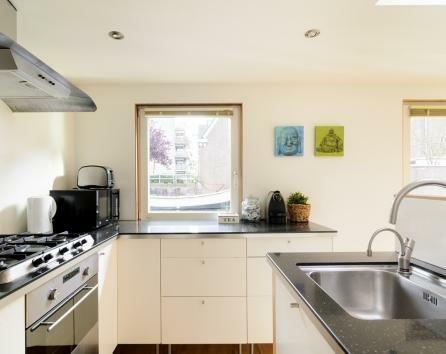 The luxe kitchen includes a big fridge, an oven, dishwasher, microwave, a nespresso coffee machine and all the necessary crockery and utensils. 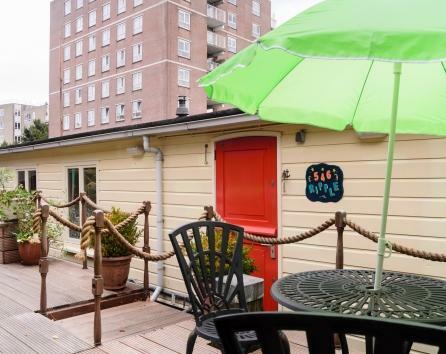 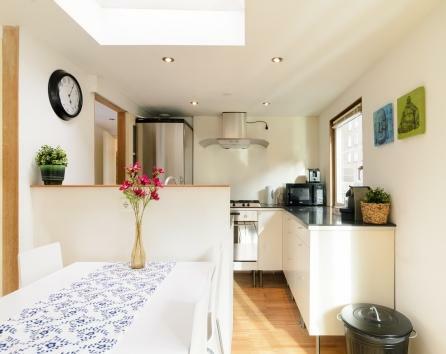 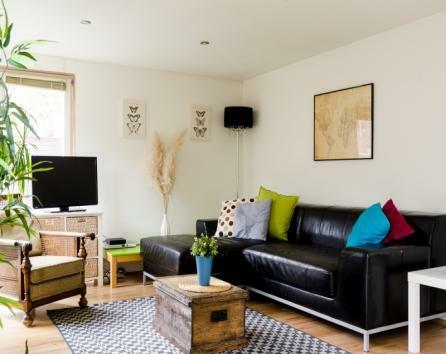 The houseboat has 2 bright bedrooms each with a gorgeous view out over the water and furnished with a double bed, wardrobe, a mini fridge and a desk. 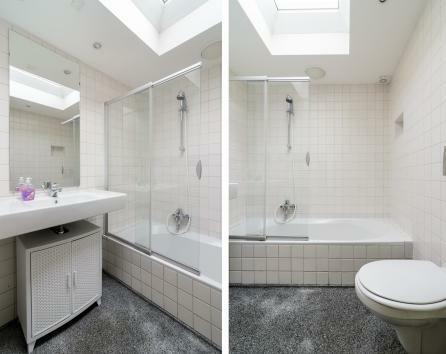 Spacious bright and fully tiled bathroom with wash basin, toilet and bath tub with shower. 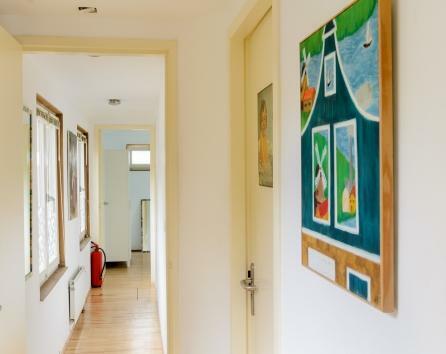 Credit Card details are required as deposit and should be provided upon arrival.